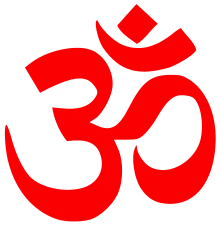 Akhil Bharatiya Ram Rajya Parishad (RRP, "All India Council of Rama's Kingdom") was a right-wing orthodox-Hindu Indian political party founded by Swami Karpatri in 1948. The RRP won three Lok Sabha seats in the 1952 elections to the national Parliament and two in 1962. In 1952, 1957 and 1962, it won several dozen Vidhan Sabha seats, all in the Hindi belt, mostly in Rajasthan. Like other Hindutva-based parties, the RRP believed in the implementation of a uniform civil code in India. The party eventually merged into the Jana Sangh, the precursor to the Bharatiya Janata Party. The RRP was Dharmic, which significantly affected the political outlook of the party. Hindu Dharma does not generally accept the (Western) concept of a nation-state because Dharma is said to permeate the entire universe rather than demarcate people based on a geo-political entity such as state. ↑ "Biographical sketches of Third Lok Sabha". National Informatics Centre, Government of India. Retrieved 2006-08-14. 1 2 Chad E. Bell. "Party politics in India, 1963-2000". Archived from the original on 15 July 2006. Retrieved 2006-08-14. Baxter, Craig (1971). The Jana Sangha. A Biography of an Indian Political Party. Delhi, India: Oxford University Press. ISBN 0-8122-7583-7.